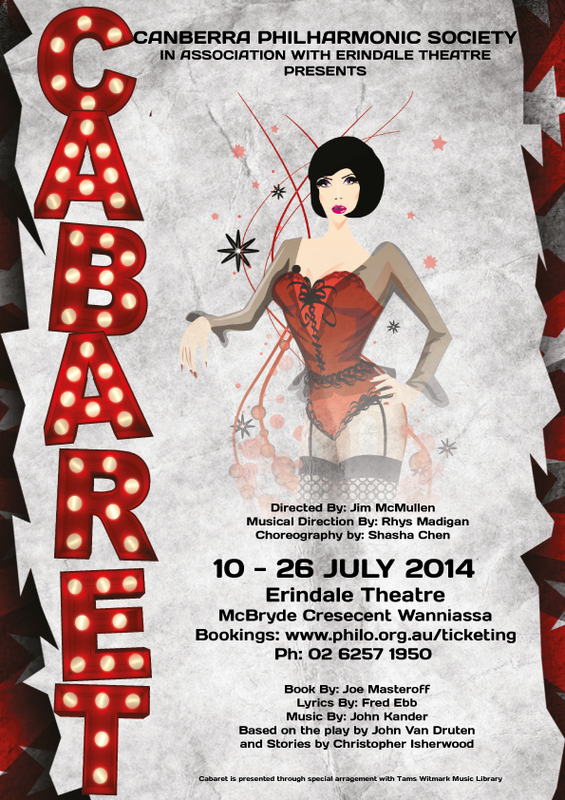 Enter the draw below for your chance to win one of ten double passes to the opening weekend of Cabaret. We'll also send all entrants a discount code for opening weekend tickets. The competition is now closed. Congrats to the lucky winners: Akiv, Sonja, Michele, Alastair, Mathew, Peter, Phoenix, Joan, Carol-Lyn, and Heather. By entering the competition you agree to be added to our mailing list, from which you can unsubscribe at any time. The winners will be chosen by random draw on Thursday 26 June and winners notified by email. Winners will then have 7 days to claim their tickets. Winners may choose to attend any of the opening weekend performances (10, 11 and 12 July). In the event that tickets are sold out, we may offer alternative performances in place. The competition is not open to current cast or committee members. Only one entry per person will be entered into the draw.